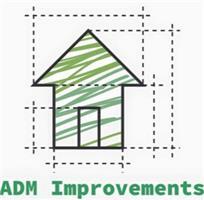 ADM Improvements - Fascia/Soffits/Guttering, Roofer, Windows/Doors/Conservatories based in Detling, Kent. Here at ADM Improvements we like to insure our work and reputation to become the best at what we do! We are a small business that relies on our customer feedback. We are a very friendly company that will help you find what you want and make it reality. We carry out commercial and domestic work. We are located in Maidstone and work around the south east area. We have been trading for many years with over 10 years of experience in window and door fitting. - Aluminum windows, doors, bifolding doors and fascia/soffits and guttering. Please feel free to call us for any help or a free quotation with no obligation.